marshtide | Health update. Also projects! 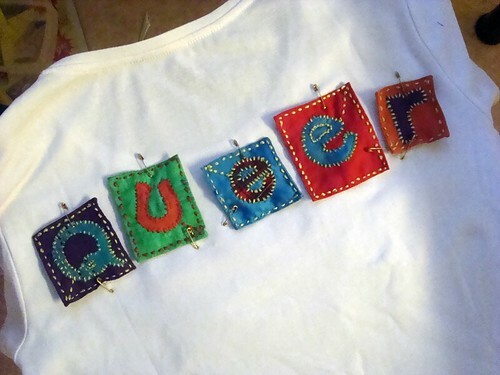 My wardrobe is full of scrap fabric! 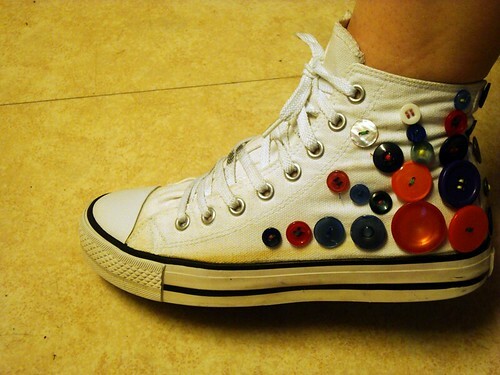 The button shoes are such a brilliant idea! 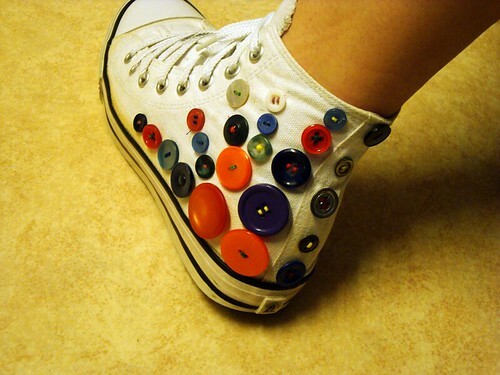 Those are some excellent shoes! Great idea! And I'm glad you finally have your surgery date. Valborg's idea, but my execution. *laughs* I'm really pleased with how they came out! Those are absolutely adorable! Nice work! The shoes and the shirt look spiffy! I especially like the text, very cute and nice! Operation date: 20th. It's confirmed. If you're coming/leaving by car, it might be good to know that the con venue is "Östra Gymnasiet" in Skogås, and you get there by taking the highway road 73 and then drive off at the sign Skogås. :D!! Yeah, hope to hang out with you at least a bit! We should really meet up in some less chaotic situation once I'm recovered from surgery though. Thanks. :) I think we're fighting our way through with the wheelchair on public transport, but we'll see. Yeah, but since we don't actually have a place to stay nearby and need to go home each evening it's probably better if we don't try for the friday, unfortunately. Ahh, no worries. :) And that sounds good! We'll see how long it takes me to get back on form and then sort something out. 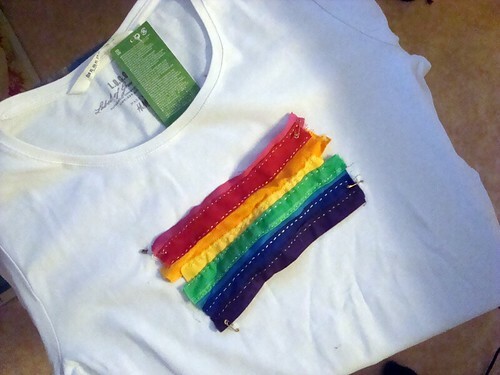 :D I love the results of your crafting, especially that shirt! Good luck with the operation and hospital stay. I hope everything goes well with a minimum of fuss.